HE5SE celebrates the 10th anniversary of the original model and is limited to 500 pieces comprising improved build quality, durability and a super-thin diaphragm. HiFi Man HE5SE Planar Headphones is a special edition that is limited to 500 pieces, each of which features wooden cups similar to the original with improved build quality, headband and overall durability that reflects the company’s years of headphone design evolution. Each HE5se has a glass plate and laser etching marking the 10th-anniversary special edition, signed by company founder Dr. Fiang Bian. The new HE5se reimagines and updates the revered original while retaining the basic elements of what made it one of Hifi Man’s most successful models. The super-thin diaphragm is remarkably precise, giving the HE5se’s planar driver a sense of space and sonic realism that is unmatched by similarly priced products. With significantly higher sensitivity than the original version, the HE5se is much easier to drive. 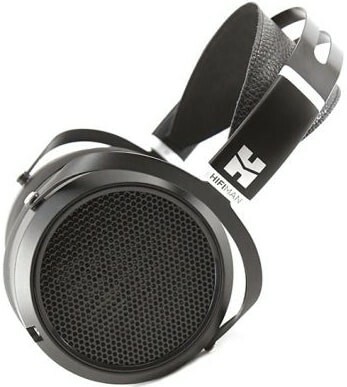 A new Hifi Man-designed hybrid headband is lighter and more adjustable than the original, affording the listener hours of listening comfort and pleasure. In addition, Hifi Man’s proprietary FocusPad features memory foam surrounded by pleather and soft velour layers that gently envelope the ear. As with all new Hifi Man products, the HE5se features 3.5mm headphone connectors that are angled at 10°, thereby lessening the pressure points associated with straight-angled connectors. These pressure points sometimes stress the connection, but the new design ensures a solid, reliable and long-lasting link between the headphone and the cable. The new HE5se maintains the original model’s exceptional sonic characteristics, in particular, the wide, natural soundstage that puts the listener in the best seat in the house. Imaging and depth are neutral, staying true to the artist’s and producer’s intended sound.